Many of us dream of living in a Spanish colonial city…and of owning a Spanish colonial home, with its high ceilings, painted tiles, and a private center courtyard. If you count yourself among this growing number, then you’ll find no better place to buy than Granada, Nicaragua. In Granada, you’ll not only find one of the best preserved Spanish colonial centers in the Americas, but you’ll also discover colonial-style properties starting at just US$37,000. Founded in 1524, Granada claims to be the first European city founded in mainland America…so it’s a truly old colonial city rather than a semi-modern lookalike. It’s named after the ancient city of Granada, Spain, and shares some of that city’s Moorish architectural influence. 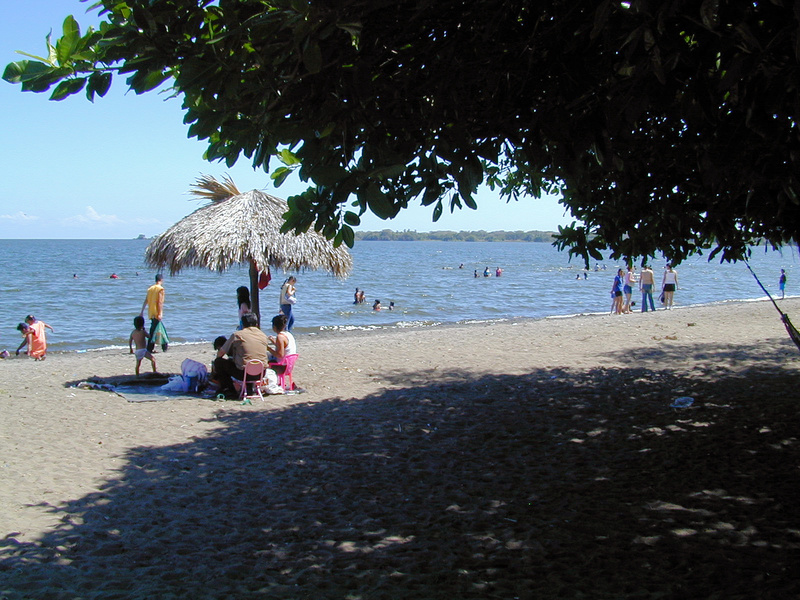 Granada sits at the north end of Lake Nicaragua, with beaches near town, and a group of small private islands just offshore. It lies just south of the well-known Lake Apoyo, Nicaragua’s largest volcanic crater lake. The international airport at Managua is a little less than an hour to the north, and the Pacific Ocean lies a little more than an hour to the west. The weather is warm-to-hot all year, with average high temperatures running seasonally between 86°F and 93°F (30–34°C). Rainfall is moderate at 47 inches, although most of that rain comes between May and October in the form of afternoon showers. It’s obvious as soon as you arrive: Granada is one of most finely restored and preserved colonial cities in the Americas. It sees a good number of international travelers and has a sizeable expat community which combine to account for its wealth of hotels, fine restaurants, and well-kept buildings. Granada is built around a large, shady, and bustling town square, anchored by a stately, neoclassical cathedral at one end. The streets are narrow—built prior to the automobile—and lined with rows of cheerful, well-kept Spanish homes. Prices are low when compared with colonials elsewhere in Latin America. Completed homes are a great value, and fixer-uppers are downright cheap…with inexpensive remodeling costs. The homes in Granada tend to be smaller than in many cities, with one-story houses commonly available. This makes the houses brighter, with the single story allowing for more direct sunlight. The relatively small size of many Granada colonials is due to the fact that most of them—more than 90% of those on the market—were originally second homes or vacation homes that were ultimately sold to expats and investors. Many houses here also have pools in their interior courtyards…something I haven’t seen in other colonial markets. Granada is completely walkable. Everything you need is close at hand via attractive, level streets. The fairly large expat community—along with an active tourist trade—brings Granada a lot of amenities that a city of 120,000 would not ordinarily have. There are great restaurants, bakeries, hotels, and B&Bs that distinguish Granada from most cities of its size. Granada enjoys good connections to the United States from the nearby airport in Managua. But best of all, Granada still feels authentically Nicaraguan. You’ll see the old oxcarts lumbering through the streets, and the towering cathedral…as well as the local delicacies, crafts, and pottery offered by Granada’s street vendors around the square. 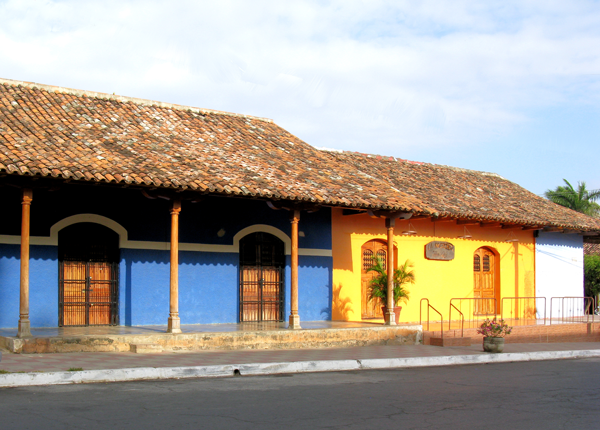 Granada is a unique blend of native Nicaraguan city life and expat amenities. The rental market is good in Granada, especially if you have a pool. One home I looked at had an asking price of US$150,000 and rents for US$600 per week…another cost US$389,000 and rents for US$1500 per week. Occupancies can run between 65% and 75%. If there’s a downside to Granada it’s that it can be hot. I didn’t really find it unpleasant, but I did sleep with the air conditioner on, as will most people. Also, if you want to be a pioneer—one of the first few expats to discover a city—this isn’t the place to do it. The expat community is not that big (and has brought some nice amenities) but there are definitely a fair number of English-speakers already in residence. The least-expensive houses I saw were priced at US$35,000, and they needed a good bit of work. But for just a bit more, you can buy something that’s fit for living, as is. One such property is listed for just US$37,000. With 1 bedroom and 1 bath, this corner property is ready to move into with practically no work. If you’d like to own a rental, you should consider this one. It’s a 1,400-square-foot property (130M2) that’s divided efficiently into two apartments, the larger of which has a separate full kitchen and a small patio. A 10-minute walk to the square, the asking price is US$80,000. Property management services are available. The most attractive home I saw was a two-story, with 3 bedrooms, 3.5 baths, and more than 3,200 square feet of space. It has a lush, large courtyard, and it’s only four blocks to the main square. The asking price is US$165,000. Have a look here ( http://www.remaxcolonialproperties.com/listing-casa-marcia-279.html ). The best buy I found is a larger, two-story home with 3 bedrooms, 4 baths, a garage, air conditioning, and a swimming pool…located just four blocks from the central square. The second-story bedroom has a good view of the city rooftops, as well as the extinct Mombacho Volcano in the distance. The asking price is US$145,000, but I understand that this one will go out the door for around US$125,000. Take a look at this colonial-style home here ( http://www.remaxcolonialproperties.com/listing-casa-amendro-272.html ). If you’d prefer life in a planned community, check out Club Vistalagos. It offers breathtaking views of Lake Apoyo which is just a few minutes from town, and it offers the security and privacy appreciated by many part-time homeowners. I’ve owned a property here myself, since 2005. Follow the link to get more information on Club Vistalagos. If you’d like to invest in Spanish colonial property, or would enjoy the Spanish-American lifestyle, then Granada should be high on your list. Located less than two hours from Miami, the cost of living is low, the properties are inexpensive, and the inventory of colonial-style homes is unparalleled…especially at these prices. to me that your readers deserve a little more guidance/direction/overview as to how any given retirement-destination country taxes U.S.-sourced “retirement income”. You are a tax-resident in Colombia if you are in the country more than 183 days in any 365-day period. If you are a tax-resident, in some cases, they can partially tax retirement income. The tax would be 5% of the amount that exceeds US$5,375 per month at today’s exchange rates. If you do exceed US$5,375 per month, and pay tax on the excess in Colombia, it can be credited back to you as a foreign income tax on your U.S. taxes, Form 1040, Line 47. As you seem to be the most-versed person with regards to the inside scoop of different retirement locations, can you please tell me which of the countries have casinos? Visiting the casino occasionally is one of mine and my husband’s favorite pastimes! Here’s some good news for Lisa and her fellow gamblers: casinos are legal and prevalent in most of Latin America, with Brazil being the only major exception I can think of. In Uruguay, the government actually builds and operates a network of nice casinos. Unlike the United States, gambling has not been judged as sinful behavior in most Latin American cultures, and has never been a crime. And you won’t see the crowds that you’ll find in many U.S. casinos. Casinos are usually plentiful, and they lack the “forbidden fruit” cultural incentive which helps to make casinos popular in the United States. You can also expect to find casinos relatively unregulated when judged by U.S. standards, so be sure you understand the house rules when playing. Have question? You can write to Lee here.